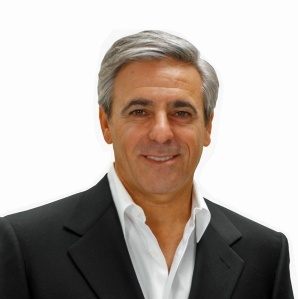 In the 1980’s Mitchell Gold moved with his business partner Bob Williams from New York City to rural North Carolina to start a furniture company. Mitchell Gold + Bob Williams became incredibly successful and Gold turned his efforts to philanthropy and gay activism. The move to the south made it abundantly clear that the main obstacle to LGBT equality was resistance by people of faith. Bible verses were routinely cherry picked and used like clubs to cause a significant amount of damage – particularly to youth who were most vulnerable to anti-gay rhetoric. For years, Gold was involved with various LGBT organizations, but found them squeamish about tackling what he calls “religion-based bigotry”. The reluctance stemmed from a fear of being perceived as anti-religious, or of getting bogged down in circular arguments that relied on competing Bible verses. Gold was also frustrated by these organizations’ reluctance to flat out say, “homosexuality isn’t a choice.” These LGBT groups did not want to make this case, because they felt that people should have equal rights regardless of whether it was a choice or not. In an effort to get to the heart of the problem by forthrightly addressing religion-based bigotry, Gold launched “Faith in America” in 2005. This month, his group released a comprehensive report, “Addressing Religious Arguments to Achieve LGBT Equality.” The strategy memorandum boldly confronts religious arguments head on and offers solutions. The biggest obstacle to this tactic is that most fundamentalists and evangelicals are deluded into thinking their persecution is helpful, because it will keep the targeted homosexual out of Hell. Gold’s answer is to vividly explain to such individuals the trauma and mental scars left by their intolerant preaching. 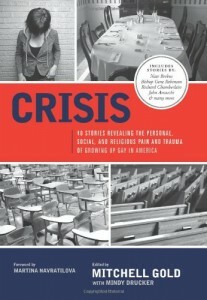 Gold’s book, “Crisis: 40 Stories Revealing the Personal, Social, and Religious Pain and Trauma of Growing Up Gay in America”, is a strong and convincing testament to such personal appeals. Of course, there are many people who these stories will not reach as they are too entrenched in fundamentalism or derive great satisfaction in bullying or causing pain to LGBT people. Such scripture-toting sadists can be found working at most anti-gay organizations. But, the idea is that you don’t have to win over everyone – just a majority in order to achieve equal rights. With polls showing more evangelical youth sympathetic to gay and lesbian equality, this trend is already happening. Past efforts to counter religious extremism have revolved around reinterpreting scriptural passages to show how they are actually not anti-gay. I believe this is important because it demonstrates how various religions take the scriptures out of its historical context and mangle the Biblical stories to fit their agenda. The downside of this practice is that arguing with opponents often devolves into dead end conversations of competing verses. I happen to agree with Faith in America and have long used this argument. The weakness comes in that many people embrace their bigotry and see it as a lifestyle. A sizable portion of the population wants to wave the confederate flag, bash immigrants, hate the fact we have a black president, and prefer that women remain in the kitchen. But, as I stated earlier, you can’t win over everyone. The focus on historical narrative makes sense and such reasoning may (or may not) work in converting bigots into allies. There is no doubt, however, that such common-sense appeals make people think and plants seeds for future enlightenment. Faith in America should be applauded for addressing a really difficult issue in an intelligent and thoughtful manner.